Riding up a local canyon climb back in what must have been late 2009, my Airstream-dwelling, frequent cycling compadre Stu Bone couldn’t stop talking about this brand new social network specifically aimed at the 2-wheel community. Always eager to test new tech, I signed up immediately, quickly fell in love and have been evangelizing the platform every since. Meet Strava – the fitness social network designed by athletes for athletes. Evolving beyond it’s cycling roots as a platform for all who sweat, today Strava is widely embraced as the premier workout sharing fitness network — a rapidly expanding ecosystem of Olympic, professional, elite, amateur and beginner athletes that boasts over 1 million new registered new users every month and growing. What distinguishes Strava from other fitness trackers and social media platforms is the positive emotional connection it engenders. Encouraging and community oriented, it’s devoid of the negativity and toxicity that plagues most sharing networks. There’s something uniquely special about being privy to the daily grind of my favorite multi-sport athletes. Their transparency holds me accountable. In turn I help hold my community accountable. And openly sharing our collective fitness experience – the highs and the lows — makes all of us better. So just how did Strava become the only fitness app that matters? To get the story behind the story, today I sit down with Mark Gainey and Michael Horvath — the dynamic duo co-founders who gave birth to Strava and continue to guide it’s ongoing growth and evolution. Currently Strava’s interim CFO, Michael Horvath previously served as Chief Executive Officer from 2010-2013 and President from 2014-2017. Holding a Ph.D. in economics from Northwestern University and an A.B. in economics from Harvard (where he was men’s lightweight crew team captain), Michael is a former Stanford economics professor and entrepreneurship professor at the Tuck School of Business at Dartmouth. Prior to Strava, Michael co-founded enterprise software firm Kana Communications and was the CFO and VP of Operations at GlycoFi, a biotech company. 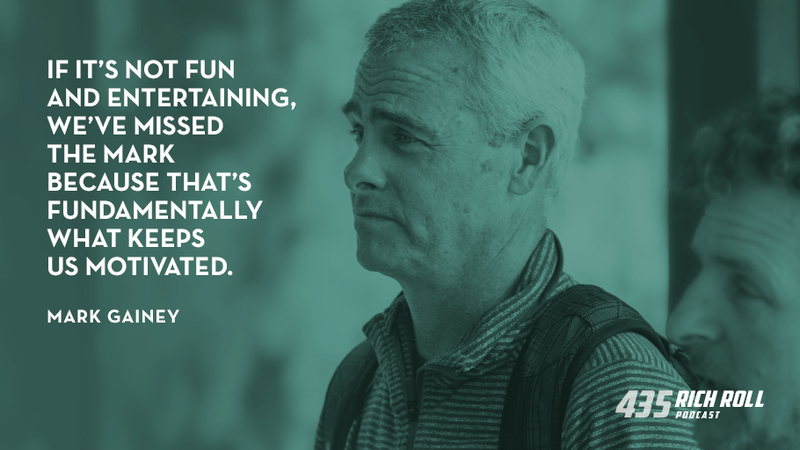 Mark Gainey currently serves as the co-founder and chairman of Strava. Also a Harvard graduate, Mark is a former venture capital executive and seasoned entrepreneur who has been building successful companies for nearly 20 years, including Kana, which he co-founded alongside Michael as CEO, president, and chairman. In addition, Mark sits on the board of Alter-G, BoardVantage, Daum, Clari, and Coaching Corps. Michael and Mark initially met on the crew team at Harvard. Friendship ensued, but after graduation they pursued disparate paths. Mark went into venture capital in Palo Alto. Michael became an academic. Reunited when Michael took a professorship at Stanford, they hatched their first startup. Kana Communications was a massive triumph. 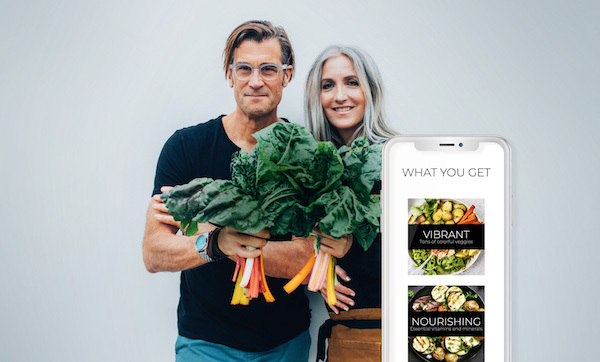 Little did they know that their follow up act — a passion project born out of a mutual love for fitness — would eclipse their first company’s success, reshaping the fitness landscape for millions of athletes across the world. This exchange canvasses everything from technology, business and entrepreneurship to fitness, sports and social media. But at it’s core, it’s a conversation about community. How to create it. How to nurture it. And why the integrity of community is paramount. I love Strava. As an early adopter (I was the 14,443 person to sign up for the service), it’s my pleasure to share Mark and Michael’s story with you today. Disclosure: In the interest of total transparency, I have run ad campaigns for Strava on this podcast in the past. Obviously this show was compensated for those ads. And I’d be happy to do reads for Strava in the future. However, this is not a sponsored podcast. I am not being compensated in any way for hosting Mark and Michael on the show. Nor am I paid to use Strava. I am simply a fan of the platform. Mark and Michael are two people I have always wanted to meet. Their story is as interesting as it is instructive. So when the opportunity to host them arose, I jumped on it. Nothing more, nothing less. Qatar Quest: Two years ago I decided to share my training preparation for the Ötillö Swimrun World Championships. To hold myself accountable and transparent, I posted every single workout on Strava (follow me here) and Instagram Stories. It was super fun. So I’m doing it again. In November I will be participating in the Qatar Quest — a reverse order ultra-distance triathlon that will circumnavigate the Qatar peninsula. I began formal preparation two weeks ago and have been posting all my workouts on Strava, accompanied by regular Instagram Stories and the occasional vlog on YouTube. I sincerely hope you enjoy the episode. For the visually inclined, you can watch the conversation on YouTube at bit.ly/markandmichael435 or listen on Apple Podcasts or Spotify. Sign up for STRAVA – The #1 app for runners and cyclists! Rewind & Capture: Why is Strava Called Strava? Special thanks to Guru Singh for this week’s interstitial music; Thanks to Jason Camiolo for audio engineering, production and show notes; Margo Lubin and Blake Curtis for video, editing and graphics. Portraits by Reece Robinson. Theme music by Ana Leimma.